This one-day road trip takes you to the center of the state for a taste of Colorado’s highest peaks and the historic mining towns of Leadville and Salida. These two mountain towns are untouched by modern-day development — the kind of places where the lady on Main Street with the kayak over her shoulder throws a neighborly nod your way and the corner barista welcomes customers by first name. In the late 1800s, prospectors rushed to extract more than $4 million in gold from Leadville’s hills in just five years. Today the one-stoplight community is a 70-square-block National Historic Landmark known for Victorian architecture and an impressive number of museums. Experience the fortunes and figures that built one of America’s richest mining towns at the National Mining Hall of Fame & Museum. Often called the Smithsonian of the Rockies, exhibits include a model mining-town railroad, a walk-through replica of an underground hardrock mine and prospector’s cave, and the Gold Rush Room, which displays artifacts from each of the 17 U.S. states that hosted significant gold rushes. Continue down Harrison Avenue past specialty shops and former brothels to treasure hunt at the Delaware Hotel, where the lobby doubles as an antique emporium and guest rooms are decorated with collectibles from around the world. An essential stop on the Historic Walking Tour, visit the 132-year-old Tabor Opera House and learn the rags-to-riches (and back to rags) story behind silver-mining millionaire Horace Tabor. Work up a sweat on one of the state’s highest elevation trails. The 11.6-mile-long paved Mineral Belt Trail loops Leadville and leads hikers and bikers through aspen groves and wildflower meadows, opening up to views of the Mosquito and Sawatch mountain ranges. Soar through the pine trees on a Captain Zipline’s Lost Canyon Zipline Tour course near Salida (see a video of families on the tour here); a secure harness and miles of elevated cables give you tree-top access to views previously reserved for the birds. Browns Canyon Adventure Park and Arkansas Valley Adventures also offer opportunities to soar through the crisp mountain air. Buena Vista is a popular access point for rafting, kayaking, fishing, hiking and backpacking adventures centered around the Arkansas River, including the newly designated Browns Canyon National Monument, 102 miles of Gold Medal fishing waters and the Buena Vista Whitewater Park. No visit is complete without a go at one of the county’s signature sports: rafting and biking. 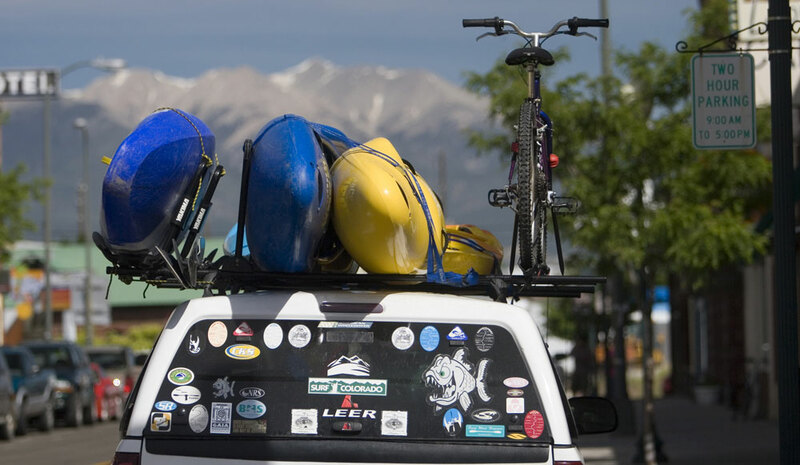 Dozens of rafting outfitters operate out of Buena Vista and Salida, offering half-day to multiday whitewater thrills. Rent a bike and hit the dirt on top-notch trails, like the Monarch Crest, Alpine Tunnel and Salida Mountain Trails or the new Buena Vista Pumptrack. Stop into the Buena Vista & Salida Chamber of Commerce to pick up a map of all the area’s recreational opportunities. Meet happy goats and other furry friends at Jumpin’ Good Goat Dairy, where you take a tour of the farm and peruse their country store. Then, take a distillery or winery tour at one of the many up-and-coming operations in Salida and Buena Vista. Deerhammer Distilling Company in Buena Vista is the perfect place to taste a local cocktail. And Vino Salida’s tasting room exemplifies winemaker Steve Flynn’s love for Colorado grapes. Stop off at Mount Princeton Hot Springs and rest in the resort’s 135-degree, muscle-soothing geothermal pools. Once coveted by Ute Indians as ceremonial baths, the clear waters now flow into larger pools complete with waterslides and manmade rock rings. Lovers of hot springs should also check out Cottonwood Hot Springs or Salida Hot Springs Aquatic Center. Or continue on the byway and head west at Poncha Springs. At the top of Monarch Pass a summertime aerial tram carries passengers to the top of Monarch Ridge, about 12,000 feet in elevation, offering sweeping views of the surrounding peaks and nearby Monarch Mountain ski area. Take a distillery or winery tour at one of the many operations in the area. Combined, there are close to 100 breweries, distilleries, wineries, galleries and eateries, so you’ll never lack for something to do. Close the day browsing artistic downtown Salida’s galleries and shops; it's one of the state’s 23 Certified Creative Districts. 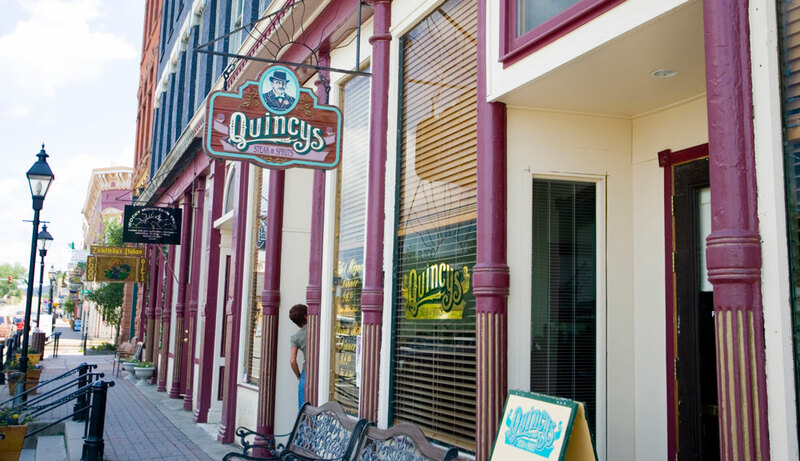 The historic district is home to more than 20 artist-owned galleries, unique shops and antique stores. Kids get a kick out of feeding the fish at the Mt. Shavano Fish Hatchery, and visitors of all ages enjoy strolling the pleasant streets of downtown. Delicious restaurants abound in Salida; try Shallots, Amícas and Currents for a tasty end to an active day. Or join locals for a nightcap at the SteamPlant Theater, where national and international artists perform in a renovated power plant. 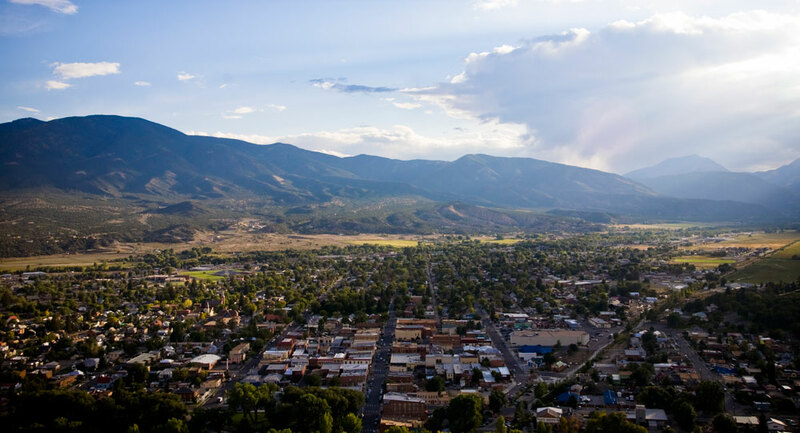 Combined, Salida and Buena Vista have close to 100 breweries, distilleries, wineries, galleries and eateries, so you’ll never lack for something to do. Boasting an impressive historic district, century-old redbrick buildings line the outdoorsy town while the adjacent Arkansas River draws whitewater enthusiasts from across the country. Learn more about Hot Springs & Cool Adventures in Buena Vista and Salida. If you’re still looking for fun, consider Buena Vista’s vintage Comanche Drive In Theatre for a nightcap. Monarch Mountain ski area is just a short drive from Salida, and the area’s deep snow opens a playground for snowshoers and fat bikers, and snowmobilers delight in zooming around Chaffee County’s 400-plus miles of groomed trails.